Mercedes-Benz started into the new year with an increase in sales by 15.4 per cent. Worldwide the company delivered 109,477 vehicles to customers, more than in any January before. products. 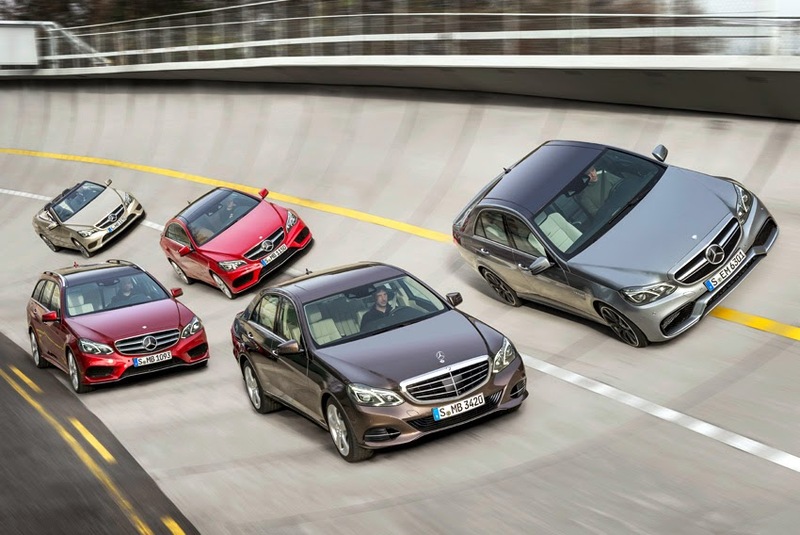 Especially the E- and S-class, which are very well received by our customers, will ensure that we continue on our growth course," said Ola Kallenius, Member of the Divisional Board Mercedes-Benz Cars responsible for Marketing & Sales. "The new generation of the C-class will have its market launch in spring. And the GLA will win new customers for the brand as the first compact SUV from Mercedes-Benz." In Europe the brand increased sales by 5.9 per cent to 40,830 cars and continued to gain market shares. In particular in Great Britain (+15.1 per cent) and in Russia (+42.5 per cent) the company was able to follow up on its sales successes of the previous year. Especially the compact cars provide for strong growth in Europe. In Germany the brand with the star delivered 13,595 vehicles to customers in January (+8.4 per cent). With a market share of 9.2 per cent Mercedes-Benz maintains its strong position from the previous year and continues to be the premium brand with the most new-car registrations in its home market. The new year is also off to a good start for Mercedes-Benz in the NAFTA region: In the US, the brand's largest sales market, Mercedes-Benz set a new record with sales of 22,604 vehicles (+0.5 per cent), thus achieving market leadership once again. An increase in sales in Canada (+30.1 per cent) also resulted in a new record. In the Asia/Pacific region the company continued the positive trend from the previous year. Mercedes-Benz is still the best-selling premium brand among imported cars in Japan. In January the brand recorded an increase in sales of 73.4 per cent. In China (incl. Hong Kong) Mercedes-Benz increased its car sales by 44.9 per cent, in India by 54 per cent. In the South Korean market the premium manufacturer even posted an increase of 89.5 per cent. CLA-class (+32.1 per cent). The compact car segment of Mercedes-Benz will be supplemented by the GLA compact SUV in spring 2014. Mercedes-Benz also registered increasing demand for the models of the E-class family - more than 20,000 vehicles of the sedan and estate models alone were sold in January, an increase by 32 per cent. In particular the long-wheelbase version of the E-class, which is produced in China for China, is especially popular. The flagship of the brand, the S-slass sedan, sold 7,431 cars in January, representing an increase of 69.2 per cent over the same month last year and a new sales record. The S-class continued to be the world's best-selling luxury sedan also at the start of the new year. Mercedes-Benz bundles the brand's coupes, cabriolets and roadsters under the name 'dream cars'. In January 9,506 of these vehicles were delivered to customers. The SLK, the E-class coupe and cabriolet and the CLS regularly top the lists of new-car registrations in their segments. After the successful year in 2013 with sales that once more topped 100,000 units, the smart brand started into the year of the model changeover with sales of 6,511 vehicles (previous year: 7,285 units). With a market share of about 30 per cent the smart electric drive was the market leader among all newly registered electric cars in Germany in 2013. The new generation of the city speedster will have its market launch in the fourth quarter as a two-seater and a four-seater.